Provide comfort for the family of Madeline Hazlett with a meaningful gesture of sympathy. Madeline A. Hazlett, 86, of Palatka, passed from this life on Monday, January 21, 2019 at Kindred Hospital – North Florida in Green Cove Springs. Born in Floral Park, New York, Madeline resided in Palatka for 50 years moving to Palatka from Green Cove Springs. She was a homemaker and a member of St. Monica Catholic Church where she had been involved with the Ladies Guild. Madeline had also been a volunteer at Putnam Community Medical Center and was a care-giver to family and friends. She was also active with Senior Friends and in years past had been involved with the Women’s Auxiliary of American Legion Post #45 and VFW Post #3349 in Palatka. In her leisure time , Madeline enjoyed walking and playing bridge. She was preceded in death by her husband of 28 years, Harold Scott Hazlett, 2 sons, John Hazlett and Henry Hazlett, a daughter Mary Hazlett, 7 siblings and her parents, Henry and Margaret Faber. Madeline is survived by her children, Tom Hazlett of Palmyra, VA, Virginia Harper (Buddy) of Interlachen, Kathy Jordan (Andy) of Alpharetta, GA and Herb Hazlett of Middleburg, 9 grandchildren and a great-granddaughter. Mass of Christian Burial will be celebrated at 11:00 A.M. Thursday, January 24, 2019 at St. Monica Catholic Church with Father Ron Camarda as officiant. The family will receive friends Wednesday from 5-7 P.M. at Johnson-Overturf Funeral Home in Palatka. Memories and condolences may be expressed to the family at Madeline’s Book of Memories page at www.johnsonoverturffunerals.com. 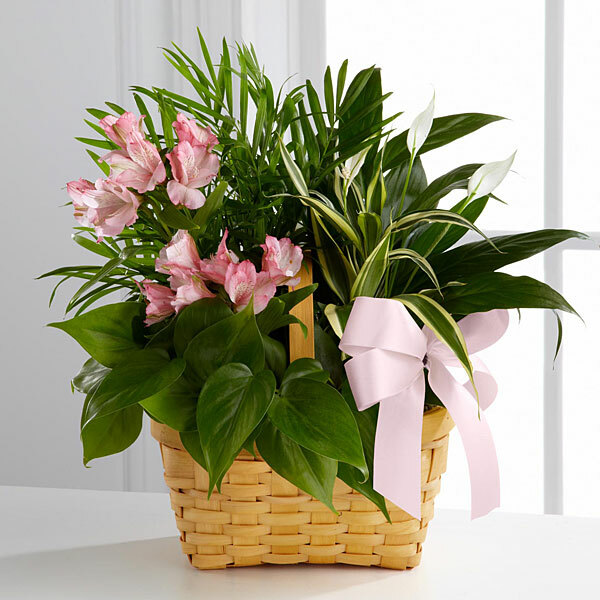 To send flowers in memory of Madeline A. Hazlett, please visit our Heartfelt Sympathies Store. 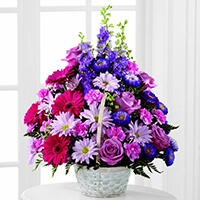 Christy Crawley, Steve and Michelle Hoffman, and others have sent flowers to the family of Madeline A. Hazlett. Peace, Prayers and Blessings! May you be comforted by the outpouring of love surrounding you! Christy Crawley purchased the The FTD Living Spirit Dishgarden for the family of Madeline Hazlett. A good friend, a spirit of excellence, and a life very well lived. A beautiful person that will be sadly missed by all who knew her. Rest in eternal peace with God forever. Steve and Michelle Hoffman purchased the The FTD Truly Loved Basket for the family of Madeline Hazlett. The Staff and Board of Providence Bank purchased the The FTD Deepest Sympathy Arrangement for the family of Madeline Hazlett. Robert E Hoffman, Becky, Mike Hoffman purchased the The FTD Pastel Peace Basket for the family of Madeline Hazlett. Kathy, Tom, Herb and all extended family. Becky and I were so sorry to hear of Aunt Madelines passing. We just saw her in October at Moms service and she seemed so good. We were all blessed to have had her in our family and she will be greatly missed. Our links to the past are slowly leaving but the sisters are all together again. We all share in your grief and Our prayers are with you and God Bless everyone.